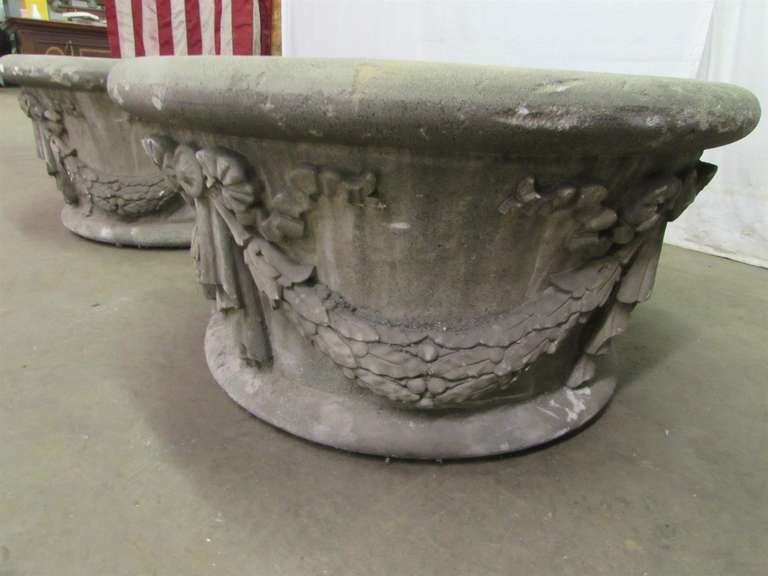 This Large Garden Urns Salvaged from New York City is no longer available. 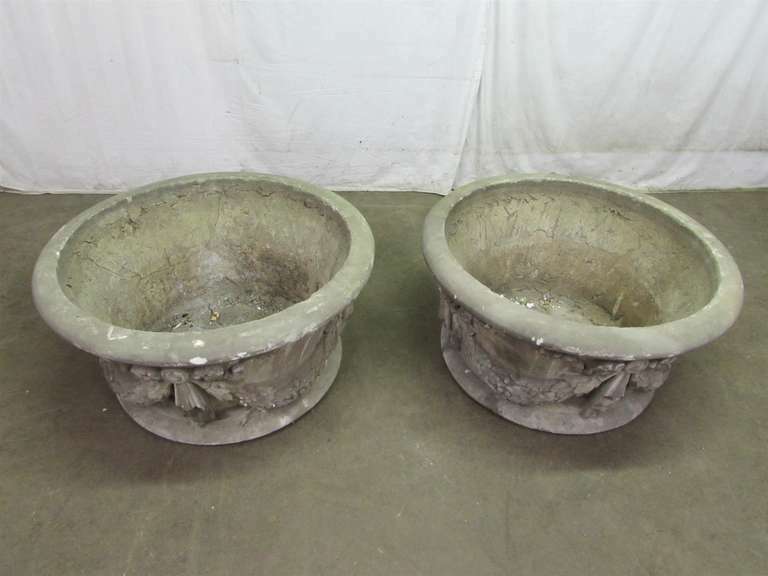 These urns were salvaged from an old building in New York. 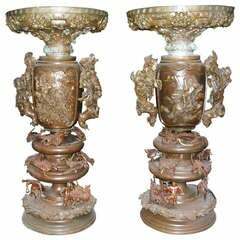 These have crackling throughout and obviously have been around a while. 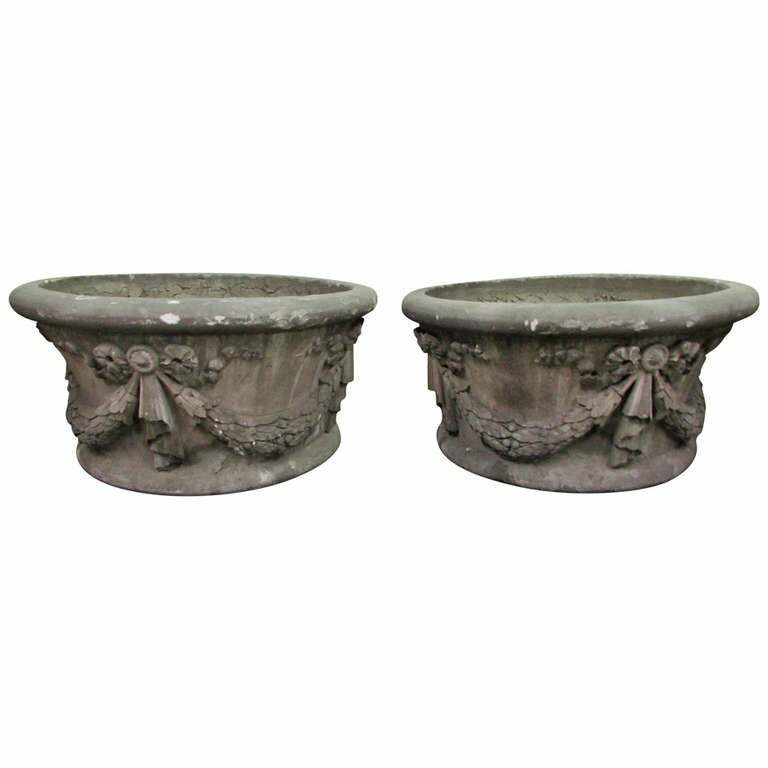 Beautiful design and large sized for your garden setting. 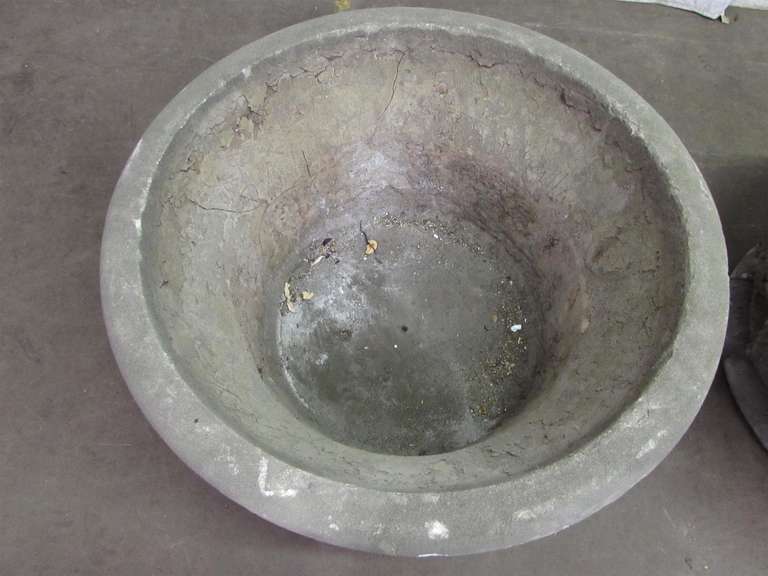 Made of cement with a floral wreath. 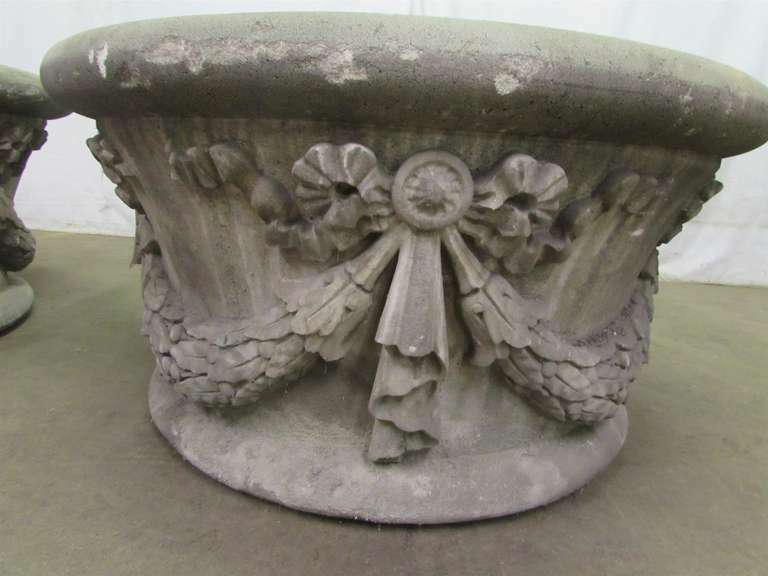 These can be seen at our 400 Gilligan St, Scranton, PA warehouse. 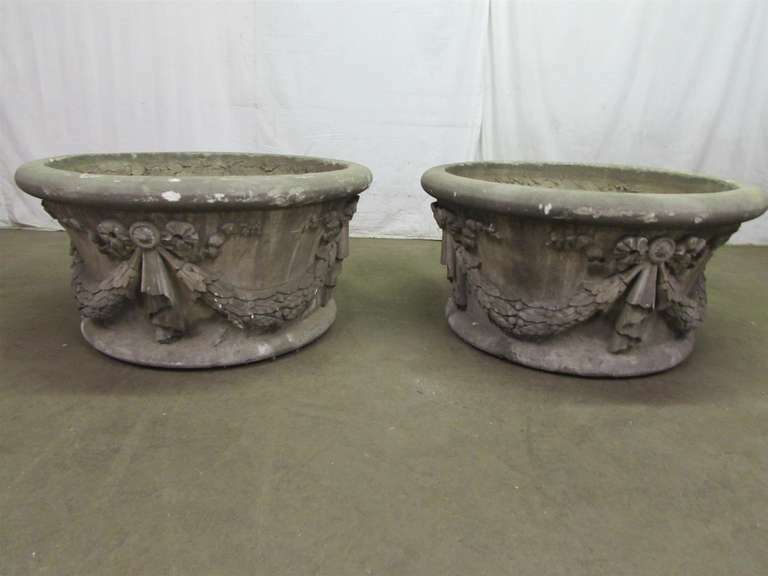 1960s pair of white entryway columns with large pediment. Priced as a set. This can be seen at our 400 Gilligan St location in Scranton, PA. Unique pair of 1910 carved stone corbels. Priced as a pair. These can be seen at our 400 Gilligan St location in Scranton, PA. 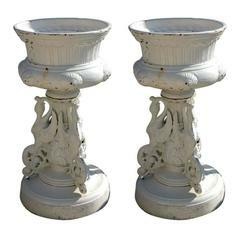 Pair of French iron garden urns finished in old white paint. 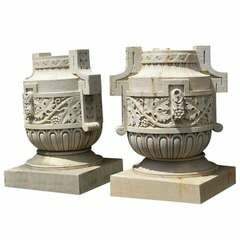 Cast iron urns are each comprised of three segments. The large pot with everted lip above a cup-shaped body with raised striated design all-over a splayed foot; in a richly-colored deep green glaze.